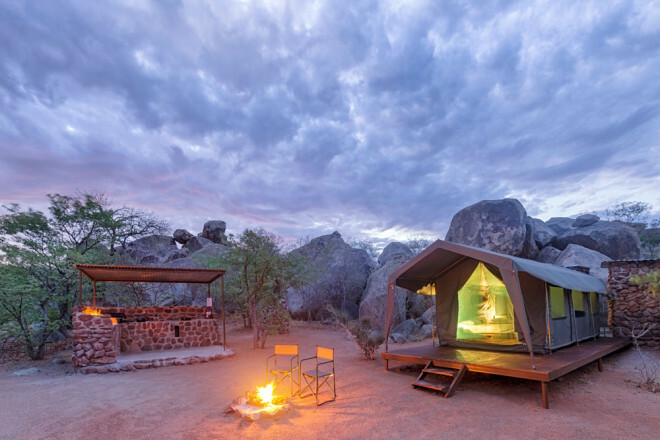 Hidden among large granite boulders and trees, Hoada Campsite offers travellers a serene home in the wilderness. Located approximately 75 km west of Kamanjab, the camp is reached by a well-maintained gravel road. 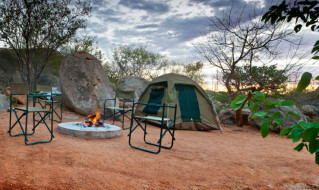 Pitch your tent in one of the spacious campsites or book one of the four permanent tents. 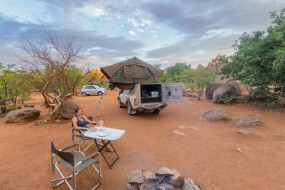 The eight regular sites have room for four people while larger groups will find the group site comfortably accommodates up to fourteen campers. Each site offers ample space for all tents, a kitchen area, braai facilities, flush toilet and an open-air shower with warm water. 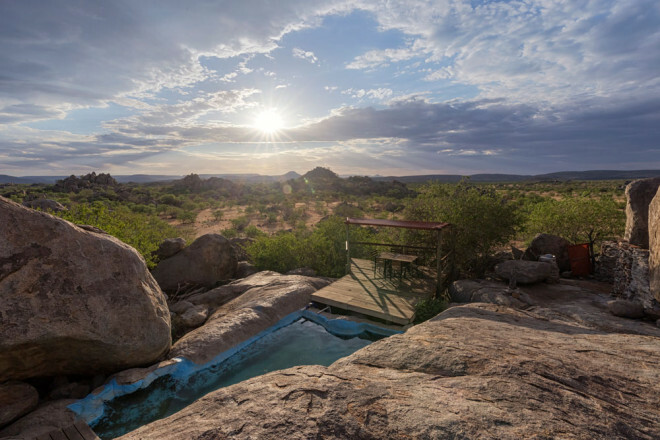 Our four tented camps sleep two people per tent and is the epitome of modern camping with comfortable beds and private ablution facilities. 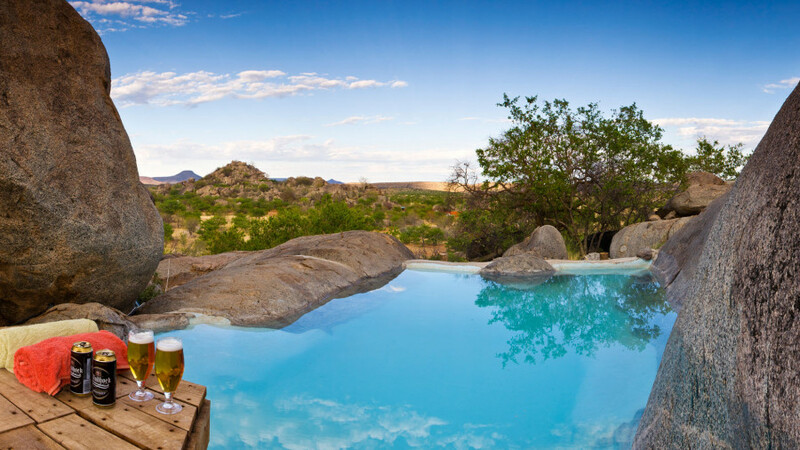 After a day exploring the nearby attractions, return to camp where a sparkling splash pool beckons on hot afternoons. Drinks can be enjoyed on the natural wooden decks that surrounds it. 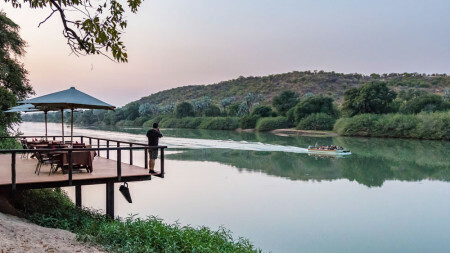 With the main focus on nature conservation, the campsites were carefully designed to minimise the impact on the environment while still providing a comfortable stay. Camping under the stars is a unique adventure. 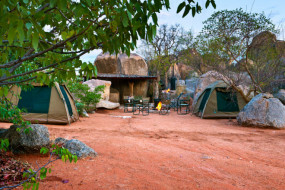 Sheltered amongst the imposing boulders and indigenous trees shading the tents, nights can be spent around the fire before retiring to bed. An unforgettable experience for nature lovers, Hoada will transport you away from the rush of modern life. 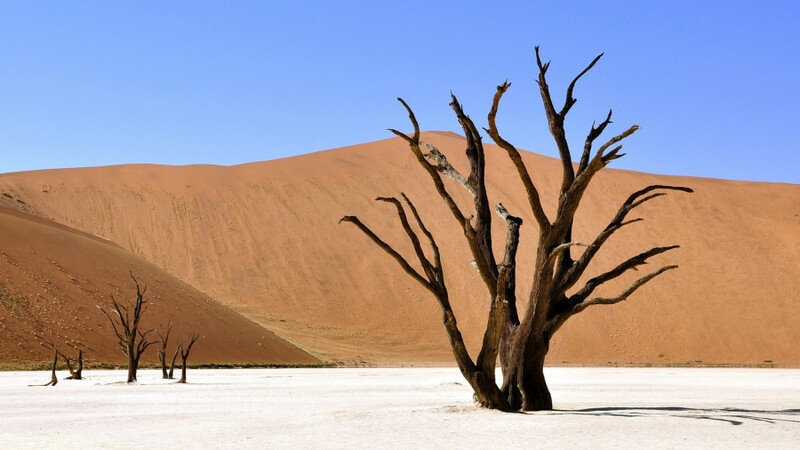 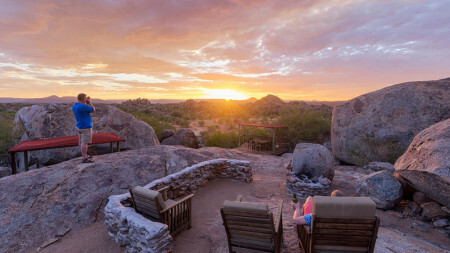 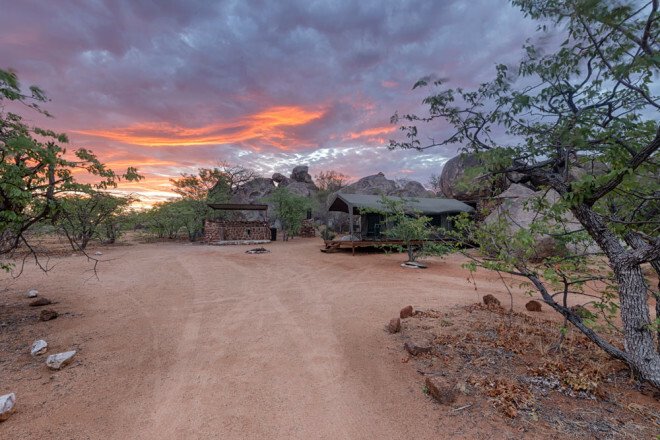 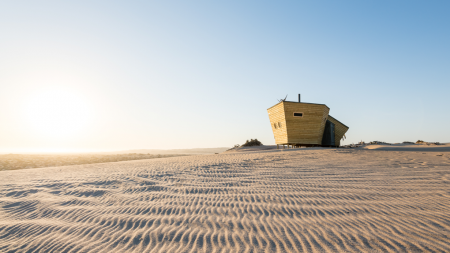 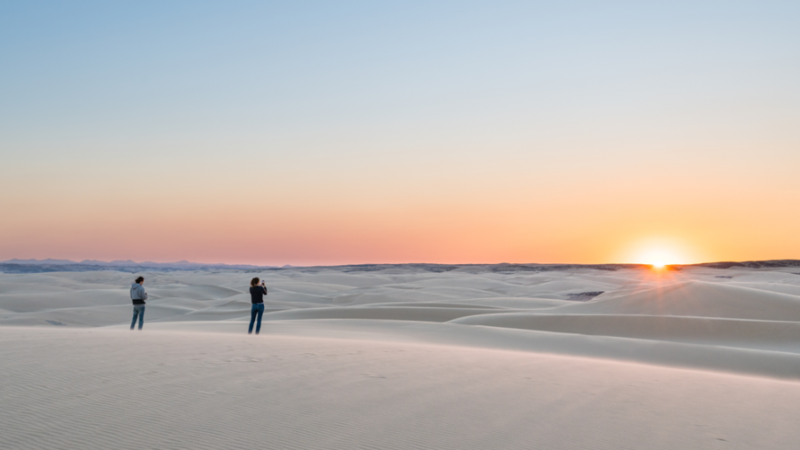 Hoada Campsite is the perfect stop-over for exploring the north-western regions of Namibia. 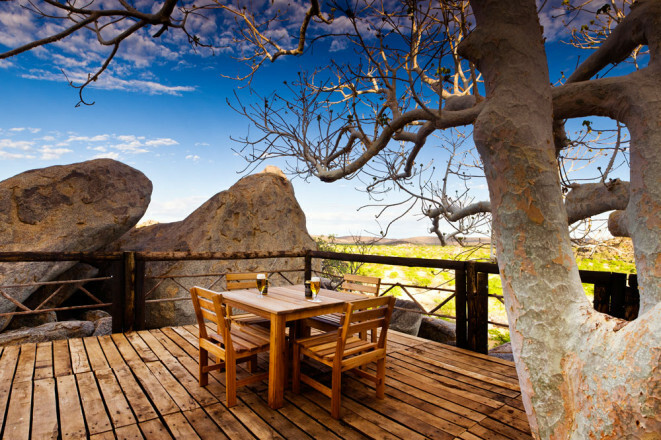 The area is home to a large variety of flora, fauna and geological wonders. 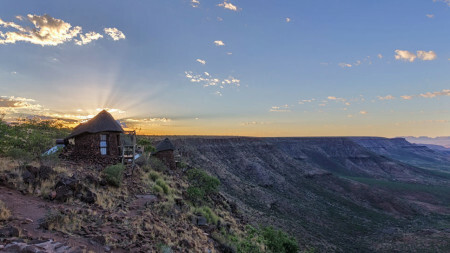 Explore the Grootberg Pass on a drive, only 20 minutes from the campsite. 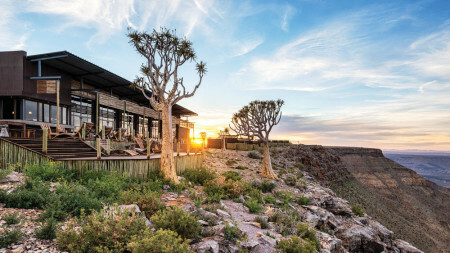 While hiking on the Etendeka Plateau, a knowledgeable guide will help you spot the various elusive inhabitants and will point out endemic flora and the amazing rock formations of the Etendeka Mountains. A large variety of wildlife, including desert elephant, rhino and lion can be seen. 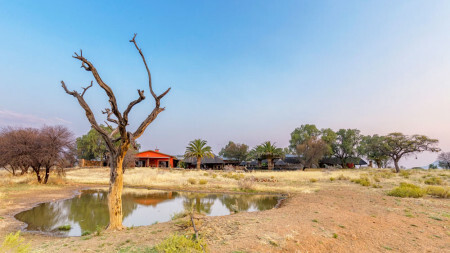 Visit Fort Sesfontein (2-hour drive), which was built in 1896 and has recently been reconstructed to accommodate guests. 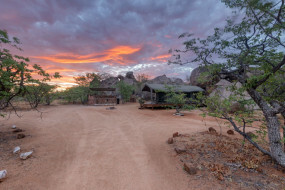 Visit Twyfelfontein, 2 hours south of Hoada where you will see ancient rock engravings dating back thousands of years. 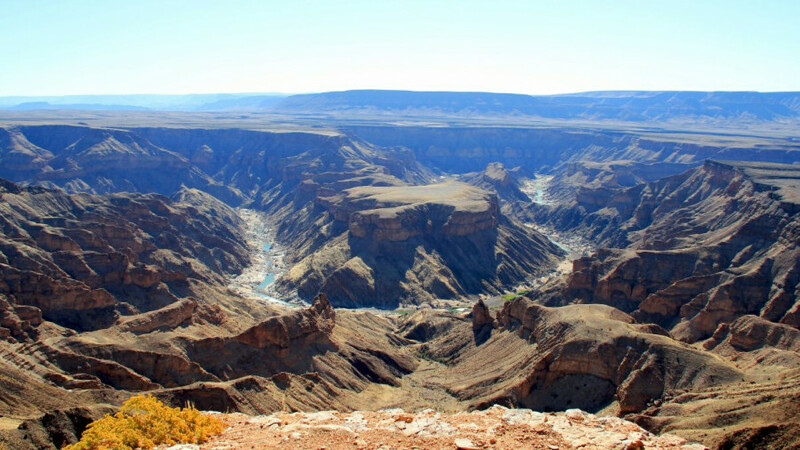 Discover all the other geological wonders in the area. 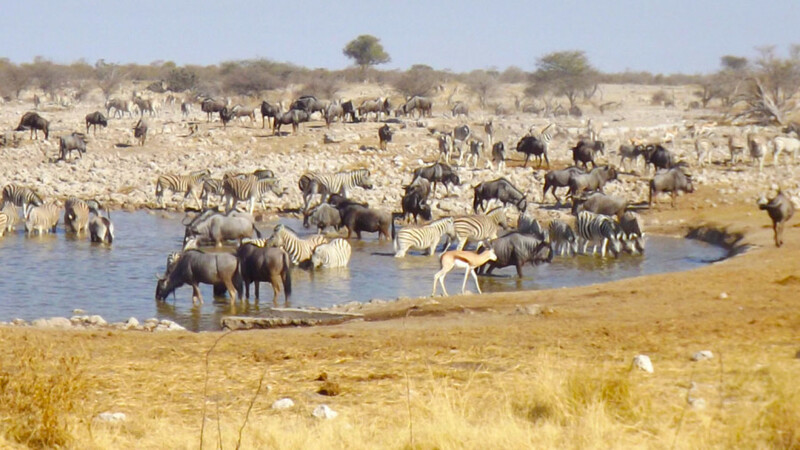 Etosha National Park is only 3 hours away. 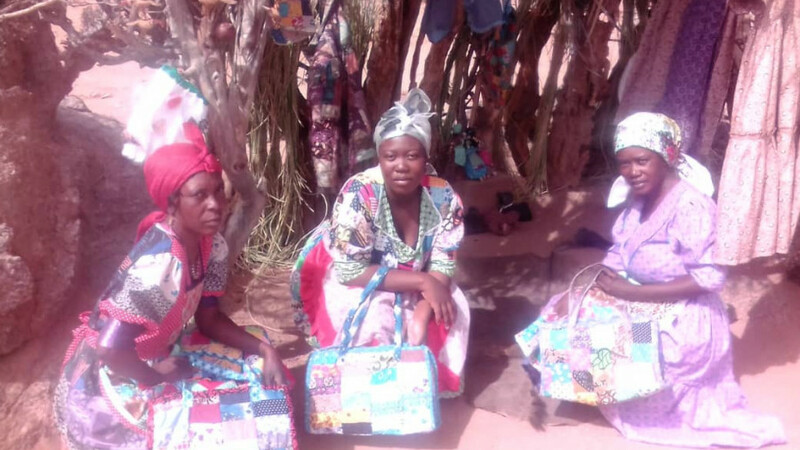 Get to know the locals on Hoada's Damara Culture Tour. 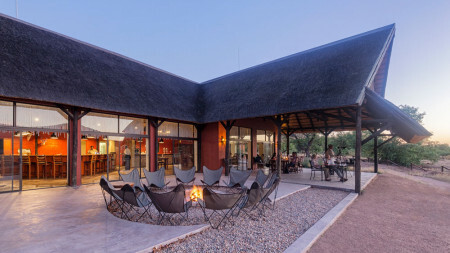 Guests will be guided through surrounding conservancy farms visiting a couple of authentic homesteads. 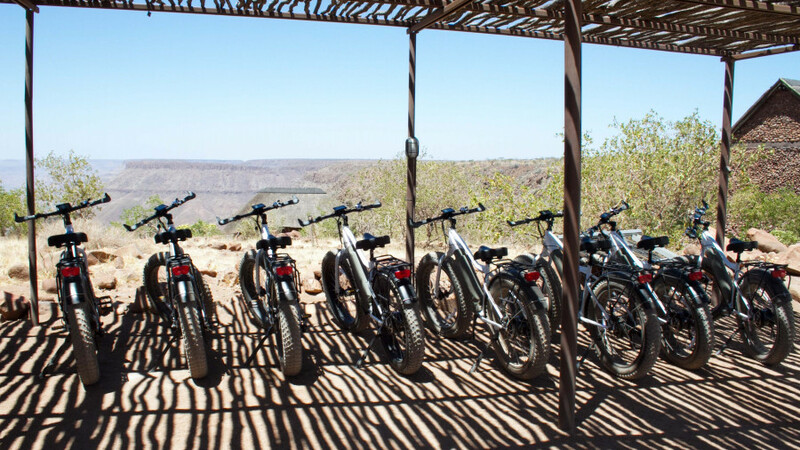 Absorb the scenery of the #Khoadi//Hoas Conservancy while enjoying the environmentally friendly solar bikes.